Wonderful amazing weather last night. 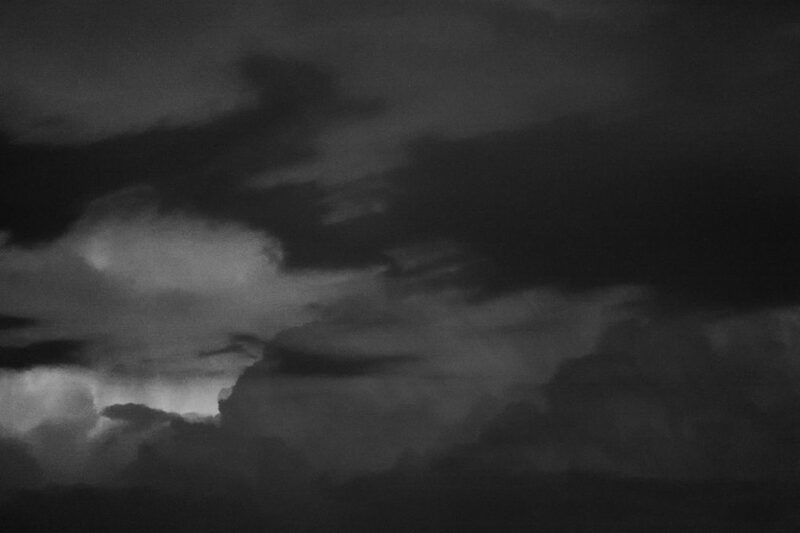 The thunderstorm started around midnight, resumed sparking silently but continuously in the distance from 2 to 3am and then restarted yet again around 8-9am with jubilant thundercracks and resounding booming rumbles echoing off the clouds. 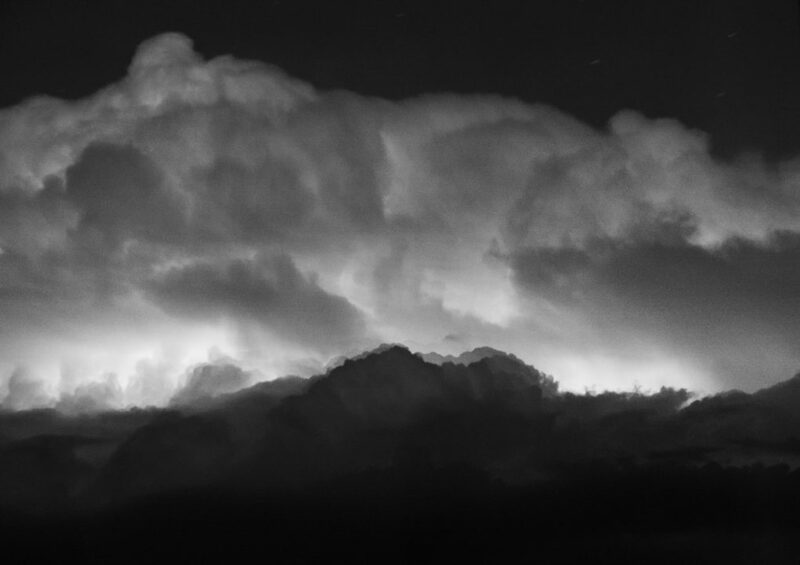 These photos were made around 2.30am – just the distant lightning illuminating the clouds. 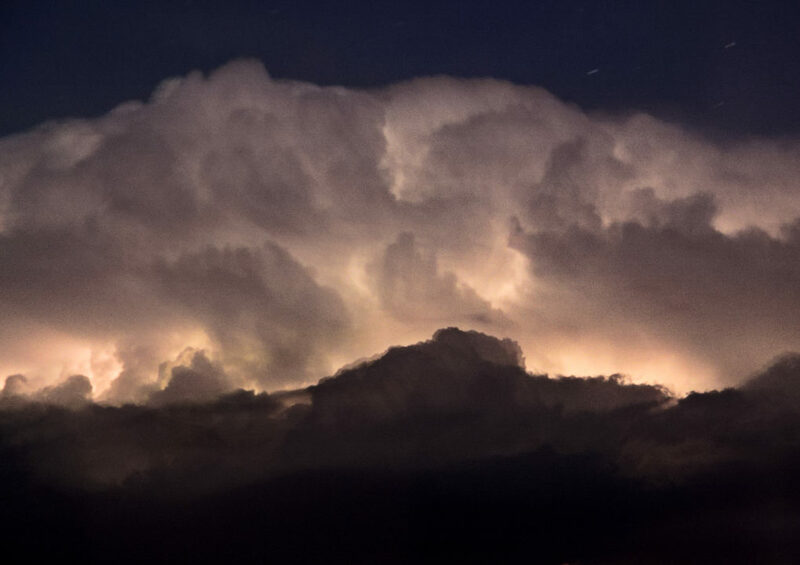 Clouds illuminated by lightning - an amazing thunderstorm 2016-07-20 c.3am. This entry was posted in daily, nature, night, Perthshire, photos, urban-landscape and tagged awesome, cloud, clouds, dark, Lightning, night, Perthshire, photos, Scotland, storm, thunderstorm, weather.